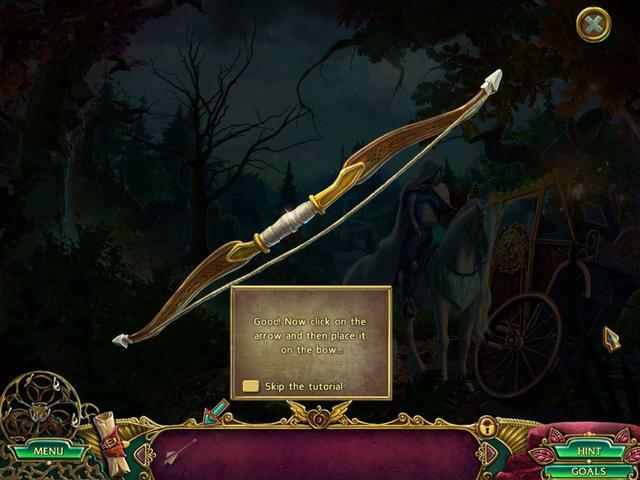 Guide the hunter as he seeks to save his beloved from a warlock! 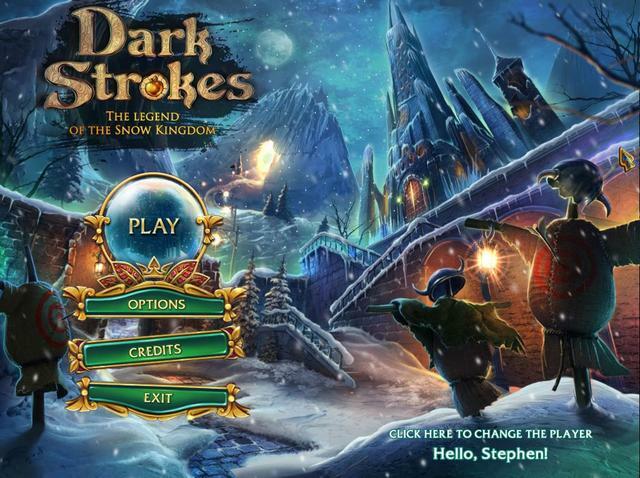 Dark Strokes: The Legend of the Snow Kingdom was available as a giveaway on January 27, 2019! Inspired by the timeless tales of the Brothers Grimm, Dark Strokes: The Legend of the Snow Kingdom offers an experience rich with magic and wonder. 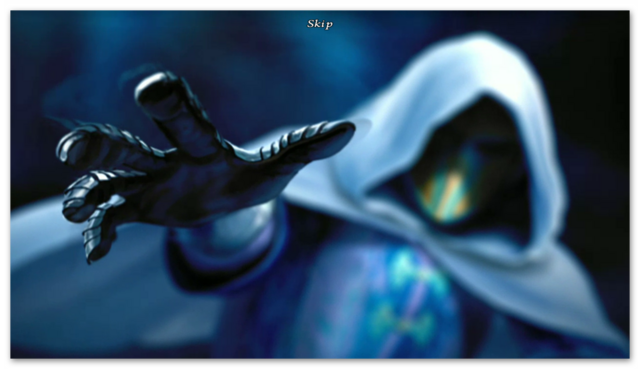 From its breathtaking opening scene, in which a hunter saves a princess from an uncertain fate at the hands of a Snow Knight, to its stunning conclusion, Dark Strokes will captivate you with a world abounding in beauty and detail, puzzles and mini-games unlike any you have solved, and a story of unprecedented depth. 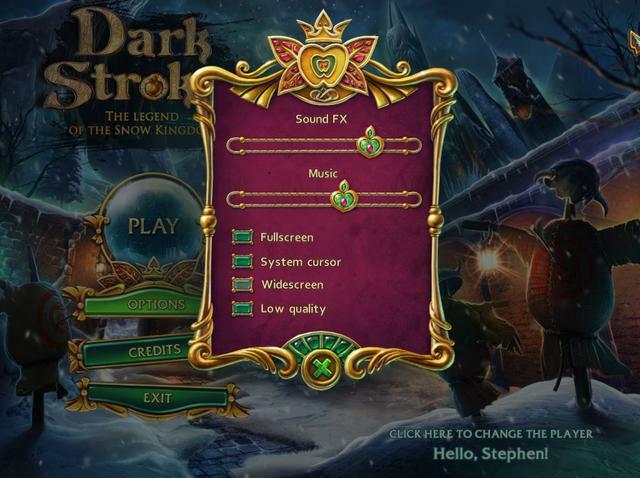 How would you improve Dark Strokes: The Legend of the Snow Kingdom? A challenging MOBA set in a fantasy world. This was given away just over 2 months ago on the 11th November 2018. you can see the communities comments HERE. 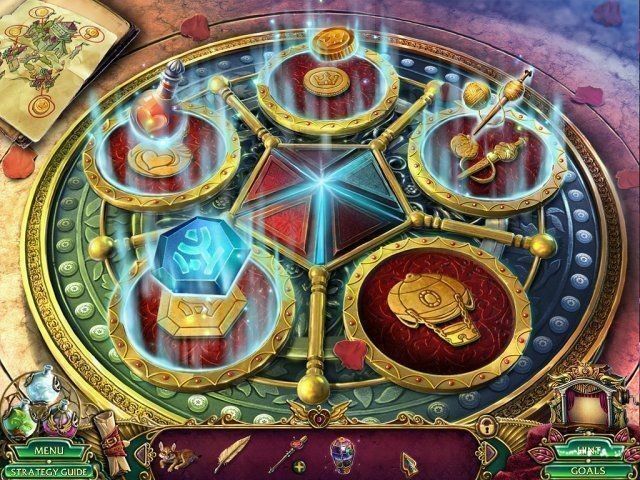 The game received an 85% positive rating from 34 votes and there were 35 comments. I've just re-posted the original review with a few updates. Inspired by the timeless tales of the Brothers Grimm, "Dark Strokes: The Legend of the Snow Kingdom" offers an experience rich with magic and wonder. 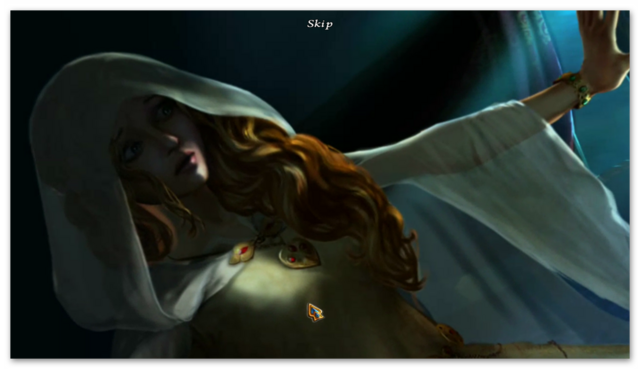 From its breathtaking opening scene, in which a hunter saves a princess from an uncertain fate at the hands of a Snow Knight, to its stunning conclusion, "Dark Strokes 2" will captivate you with a world abounding in beauty and detail, puzzles and mini-games unlike any you have solved, and a story of unprecedented depth. 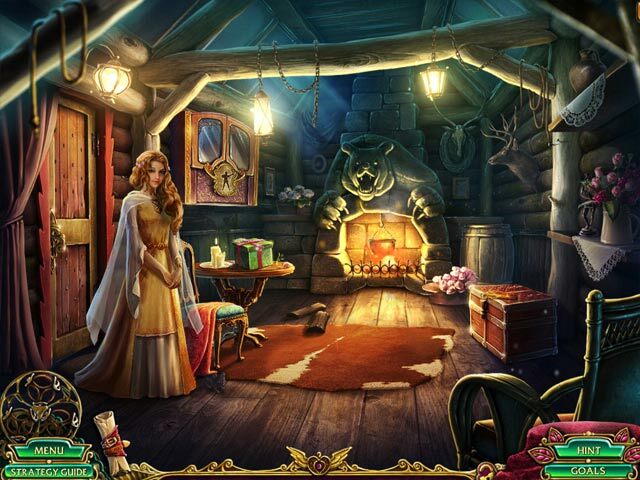 Guide the hunter as he seeks to save his beloved from a warlock who's kidnapped her and cast an icy spell over a once glorious kingdom, search for and find cleverly hidden clues and objects, and uncover the truth about a tree with leaves of gold that holds a startling secret! Once you complete the main scenario, your adventure will be far from over, as you'll unlock a bonus episode that delves even deeper into the mystery of the Snow Kingdom, desktop wallpapers, production sketches, character art, a downloadable soundtrack, and more! 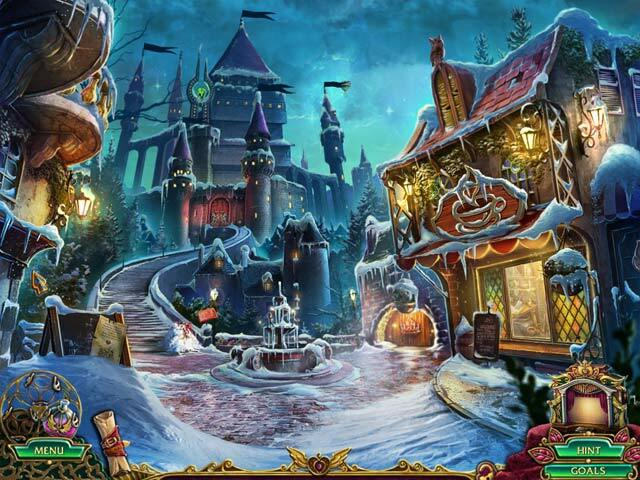 Enter the enchanted realm of the Snow Kingdom and begin your journey today! A mysterious knight shrouded by snow and ice. A castle lost in the skies. A young woman trapped in a crystal ball. And a hunter with nothing more than a bow and arrow who must save her. Sounds like the perfect setup for a dark fantasy fairy tale! 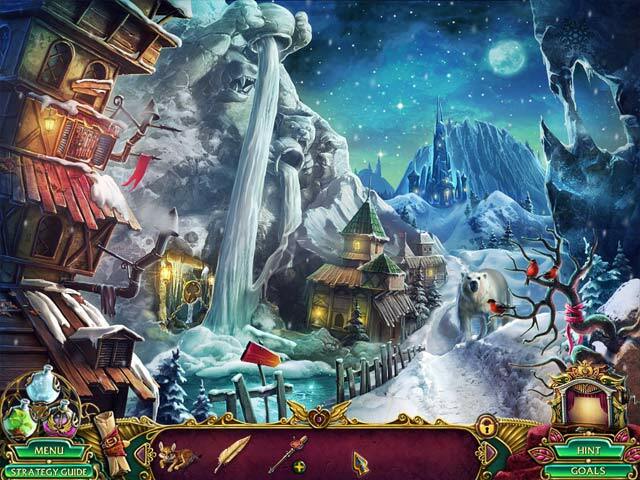 Dark Strokes: The Legend of the Snow Kingdom sends you on a journey of mystery, throwing plot twists and mini-games at you faster than you can say “Oh, neat!”. Dark Strokes is a sprawling adventure filled with action, creative puzzles, interesting inventory items, and plenty of surprises. Most of the obstacles in your path can be solved by locating a few objects in the general vicinity. To pick up those items, you might have to solve a small mini-puzzle. Then you realize the items need to be combined with something else, sending you on a journey further away. Once you get everything you need, piece it together, solve another short mini-game, and the object is yours. It’s sometimes a roundabout process, but it’s absolutely satisfying and always logical. No guessing required, just good old-fashioned detective work. 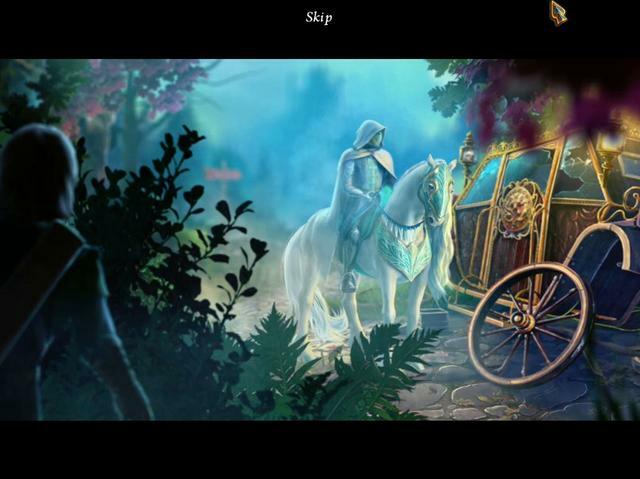 Dark Strokes uses hidden object scenes sparingly. 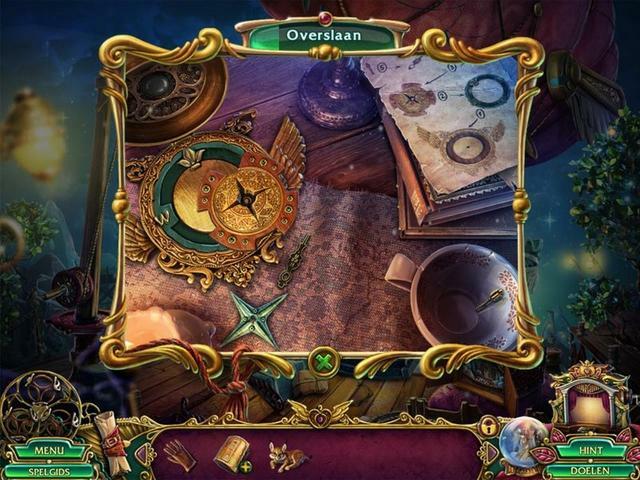 You’ll encounter several standard list-type sections, each with a handful of interactive items to puzzle over. To make or discover these objects, you’ll usually need to complete a brief mini-game, most of which require minimal interaction and are just fun to watch. There are also a handful of short twists on the HOG layout that pop up from time to time. For example, an early mini-puzzle tasks you with finding items for a locked chest based on their silhouette. 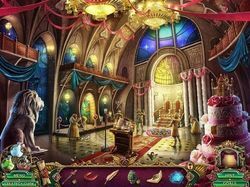 These aren’t quite hidden object scenes in full, but they operate in a similar fashion and are great fun to work through. Have you ever wanted to play a first-person horse riding mini-game? The Legend of the Snow Kingdom has that, believe it or not! 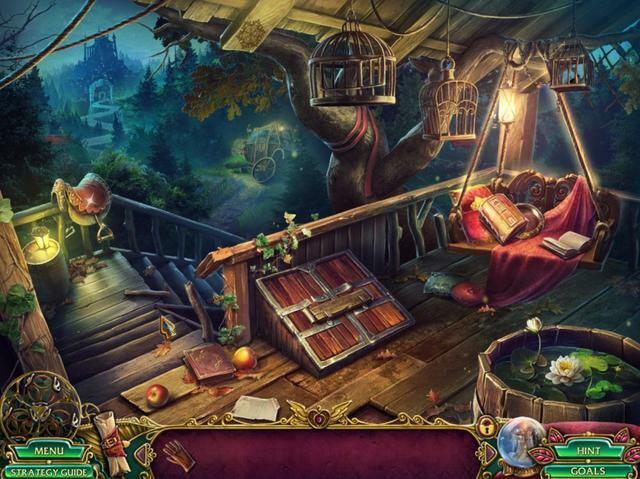 This game is filled with creative diversions that go well beyond the usual battery of puzzles in a hidden object adventure. In addition to the riding game, you’ll collect cannons for a model, feed a fat statue, and loads more. 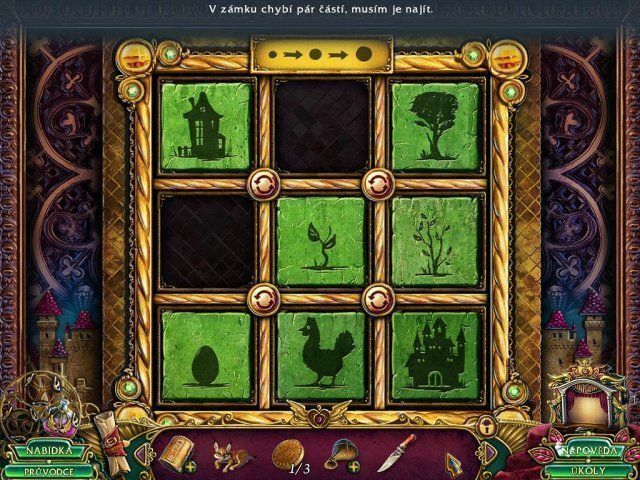 When you see these puzzles, they’ll bring a grin to your face, and when you complete them that grin will return. Dark Strokes is packed with extra things to do and find. 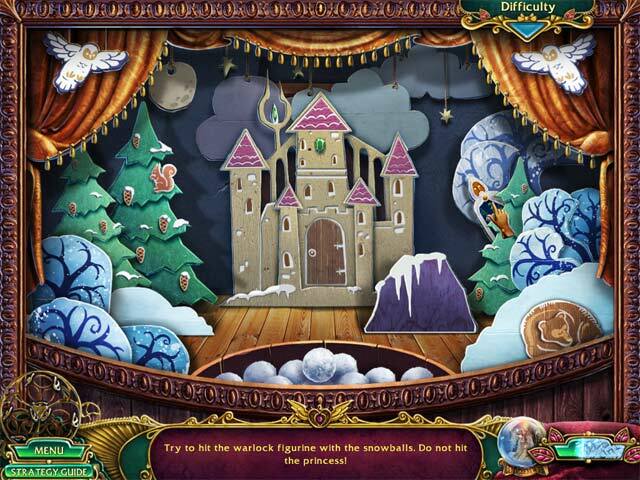 Morphing objects are hidden all over the place, and collectible snowflakes pop up in the most unexpected areas. There are even things you can interact with just for fun, such as a basket of fruit you can nibble off of or icicles that fall when you click them. Extras like this don’t impact the game, they just reward you for being thorough, and they’re tons of fun to discover. 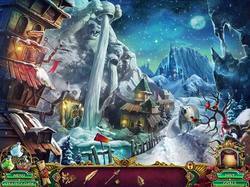 The core of Dark Strokes: The Legend of the Snow Kingdom is a straightforward dark fantasy hidden object adventure. 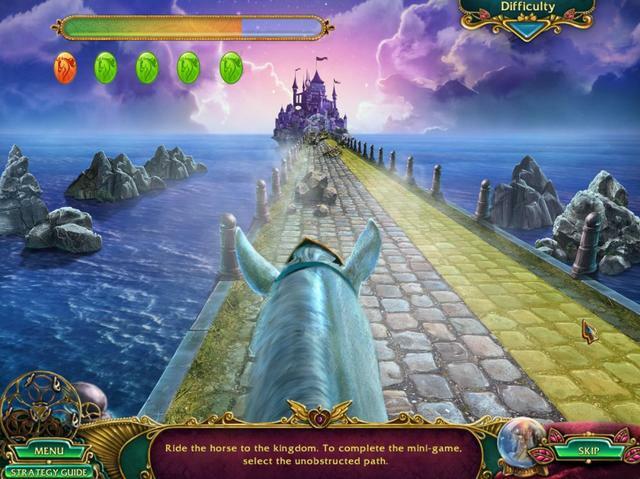 What sets it apart from other games is its focus on frequent and unique mini-games along with just-for-fun interactive elements. Dark Strokes is full of surprises, making it one of the more amusing adventure games on the market. You can see several in-game videos of game play HERE, HERE, HERE, HERE, HERE, HERE, HERE, HERE & HERE; plus a couple of walkthroughs, one written HERE and one in images HERE. If you're having problems installing or activating or getting Dark Strokes: The Legend of the Snow Kingdom to work please visit the FAQ's Thread HERE and read through the communities comments because sometimes fixes have already been posted, for example, a common issue seen since the Themida wrapper was introduced three years ago is that some community members installation of the game are blocked by their security because Themida code has been known to hide malware, (usually an error message is flagged for example 'The executable is corrupted' even though in reality it is not); so as a precaution some anti malware programs will block and even delete the suspect installation files even though the files (i.e. the setup, read me and setup.gcd files are actually totally free from malware. This issue can be solved either by rebooting your computer in safe mode with networking or a quicker method is to temporarily turn off your security software to allow the installation. You could also try white-listing the setup.gcd file. In the almost 11 years this game giveaway site has been operating there has 'never' been a game given away that was infected with malware. I'd like to take this opportunity to thank MyPlayCity for giving away Dark Strokes: The Legend of the Snow Kingdom and also to the game giveaway team, as always, for securing free games. If Dark Strokes: The Legend of the Snow Kingdom doesn't interest you, but you still hanker for something new to play, you'll find details of some game deals whether they be sale items, indie bundles or games being given away for free HERE (I've not updated the thread in a while, but most of the links still take you to the latest deals). The rest of the information that used to be posted in the game review can be found in the forums HERE. Finally, check out Delenns threads for details of other free games and offers HERE and elsewhere in the game discussion forums Journey via the Humble store for free for a limited time. See the game discussion forums for details. Once you get the key, it must be redeemed by the 30th January 6pm UTC. It lists the Publisher as "MyPlayCity", but the homepage is "BigFish". As it turns out it's an "Alawar" game, so it's gonna be high quality. You never know how good a game your gonna get from "MyPlayCity", but I really enjoyed this game. 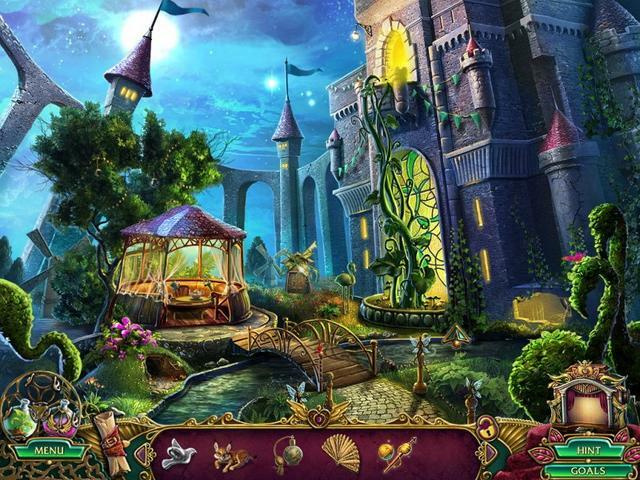 If you like Mid-Evil Games with a little magic thrown in a "HIdden Object" Game you'll like this game. It doesn't have a "Guide", but the "Map" is very helpful with all the running around you have to do. Why are there so many games these days were you have to find and collect objects hidden in a picture. The only thing that seems to change is the story and scenery. When trying to start the game all I get is a black screen with a mouse pointer.Downloaded with Avast disabled.Had to CAD to get out.Boo!! Thanks anyway. Did you try the compatibility? Good luck. Thank you, I hadn't finished this game before my computer died, so I'm very happy to have it again. Very nice game. Unfortunately, have to uninstall - another game that downloads and installs fine but running it is impossible because instead it opens your browser to the main MPG page. Too bad, it looks beautiful. All of the MyPlaycity games open your browser to their home page. this is becasue all of the games that are free via MPC are not freeware games, but shareware and are sold elsewhere, for example Gamehouse and big fish games. Basically MPC earn money when your browser is opened to their site. Part of this is split with the developer of the game. 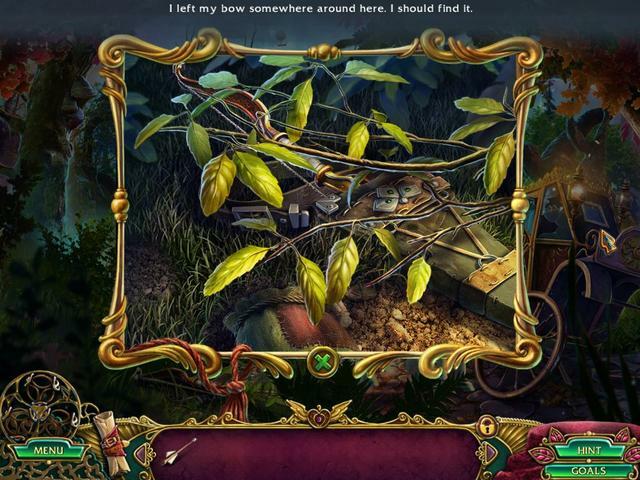 Every time you play the game and close it down, your browser will be opened to MPC's home page. There's no malware involved. You could class it as low level adware, but to be honest, the redirection is a minor inconvenience and does not cause any issues with your computer. i've installed MPC games for years and have never had any issues. zip file tell me it's corrupt……? 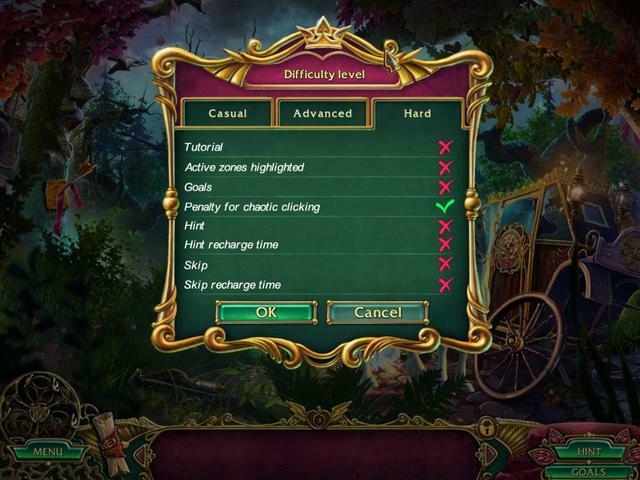 2) ... Reboot your computer in safe mode with networking, install the game, then reboot as normal. 3) ... Temporarily turn off your security software, install the game, then reboot your security software. The majority of regular community members that have this issue usually choose the quickest method which is the third option. If none of the above sort the issue, the other thing you could try is to use a different file archiver such as 7 Zip. I've listed several free archiving software's in the FAQ's thread HERE. Finally, if a different archiver doesn't work, check other fixes that you'll find in the FAQ's thread. Please do let me know if any of the above helped fix the problem? p.s. if none of the fixes work, try re-downloading the files. It may be that the zip file was corrupted during the download process (though this is unlikely unless you're using an old phone line modem to download (I used to play an online game called Americas Army with a friend who lived out in the sticks and who had a really poor phone line. He was constantly dropping out and was rarely able to download files from the internet. I used to have to send him copies of the files he wanted on disk.